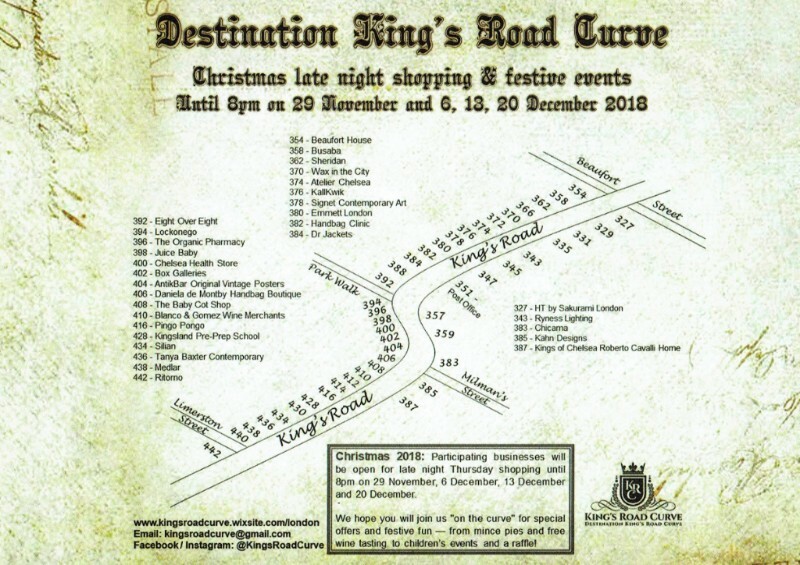 AntikBar is delighted to invite you to join us for the late night shopping evenings and festive events on the King’s Road Curve in the lead up to Christmas. 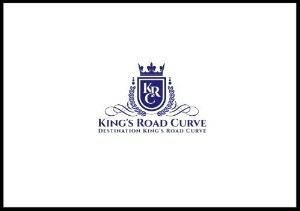 Organised by the recently formed King’s Road Curve business group in Chelsea London, a variety of events will be held until 8pm at our gallery and neighbouring shops, galleries and restaurants on Thursdays 29th November, 6th, 13th and 20th December. We will be offering a 15% discount on most of our stock at our gallery on these dates, along with mince pies and the chance to win a prize in the King’s Road Curve raffle. 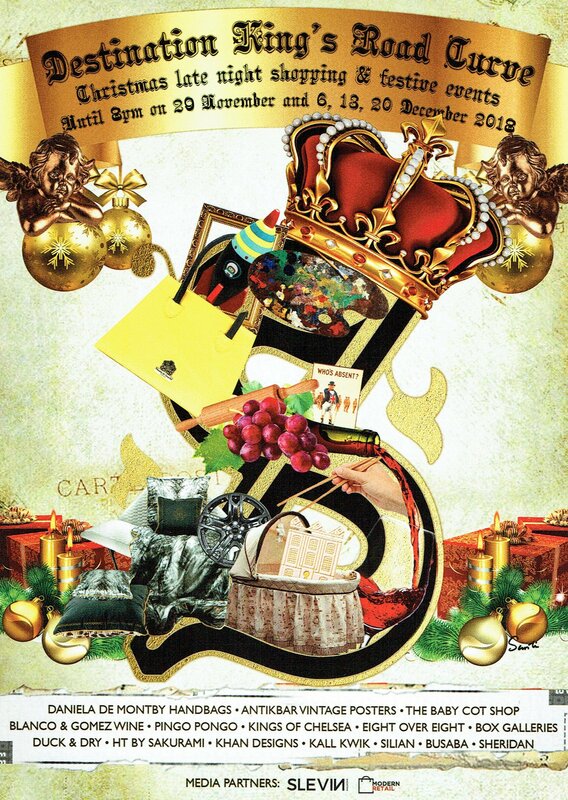 Other events ‘on the curve’ include free wine tasting, special restaurant menus and children’s entertainment. Pop into our gallery or visit our News & Events page or the King’s Road Curve website for more information.